Tracy Peyton is the second recipient of the Ron Balicki Scholarship, which was first awarded in 2018. Tracy Peyton, a senior at Palm Beach Atlantic University, is the recipient of the 2019 Ron Balicki Scholarship,awarded by the Ron Balicki Scholarship Foundation. This scholarship was established to celebrate the legacy of Balicki, the Hall of Fame college and amateur golf writer from Golfweek. Balicki wrote about the college and amateur game for more than 30 years, delivering stories not only about the players who would become the PGA Tour’s stars of tomorrow but stories about amateurs of all talent levels who simply loved to compete. Peyton’s golf career began when she was 9 years old. Her parents wanted her to play sports from a young age to instill values that she could carry with her for life. She tried lacrosse, soccer and basketball but to no avail. Peyton’s father introduced her to golf, a game he has played his whole life. Almost immediately, she showed both talent and passion for the game. Peyton traded her lacrosse stick in for a set of clubs for good in middle school. Over the summer she would play in small tournaments and participate in junior clinics at The Links, a facility of three nine-hole courses near her hometown of Boynton Beach, Florida. One of Peyton’s fondest memories is getting her first hole-in-one. She was playing in a junior tournament at her home course, Okeeheelee Golf Course. The 120-yard Par 3 featured a creek short right, a sand trap in front of the green, and is surrounded by trees. "I thinned it," Peyton said through a laugh. She didn’t follow it all the way, thinking she should just start marching toward the trees behind the green. She heard it hit the pin but thought it just ricocheted into the woods instead of going in the hole. As Peyton searched for her ball in the woods, she decided to check the cup just in case a miracle happened. "It was the worst shot in my life, but it turned out great!" Peyton’s golf career only went up from there. She made the Park Vista High School golf team her freshman year. Her team qualified for the State Championship her Freshman and Sophomore year at Park Vista. Her father was her No. 2 fan. "My dad loves watching me play," Peyton said. It didn’t take long for her dad to realize that all Peyton needed was a short game. "I couldn’t get up and down to save my life!" Peyton remembered. Sure enough, Peyton and her father got her short game cleaned up. She wanted to play golf but didn’t want it to take away from her education. It turned out that the best school for her was just down the street. Palm Beach Atlantic gave Peyton an opportunity to combine her two passions while giving her best effort both on and off the course. "I ended up going to the closest school to my house but it turned out to be a great school." Peyton said. 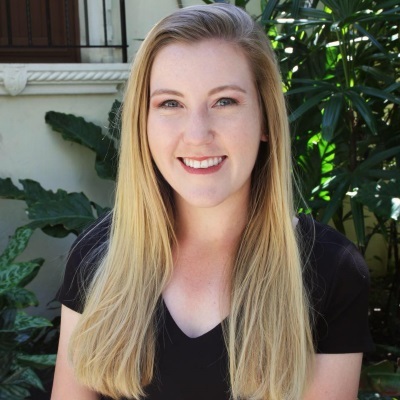 Peyton was a member of the Palm Beach Atlantic women's golf team before becoming editor-in-chief of the university’s student newspaper. Peyton was the first scholarship athlete recruited by Palm Beach Atlantic to start their women’s golf program. "Coach Watson made me feel like I was going to make a big difference on the team." Peyton said, "I was really excited to help springboard the program." Unfortunately, Peyton’s collegiate golf career was abruptly cut short by a shoulder injury. Peyton was addressing a ball at practice one day when she immediately felt pain in her right shoulder. She went to the hospital and visited multiple doctors who cannot seem to diagnose the problem. Although she misses being able to play regularly, Peyton is thankful that the injury happened when it did. She was the managing editor during the 2017-18 school year for The Beacon, Palm Beach Atlantic’s student publication. By no longer being able to play, Peyton has put all of her time and energy into The Beacon and is currently the editor-in-chief. "I wouldn’t have been able to be editor-in-chief if I was on the golf team. So, this injury was like okay, it’s time to step away from the team. It just made sense. I’m thankful it happened… Everything worked out!" Peyton said after reflecting on her injury. Peyton isn’t like most college students in the fact that she knows what she wants to do once she graduates. "I’ve known I’ve wanted to be a journalist since high school… I’ve always known," Peyton said. Since she was in elementary school, her parents realized Peyton had a talent for writing. Peyton remembers her parents reading her school essays and encouraging her to write more. Once Peyton began high school, she joined the school newspaper where she was the copy editor. "I love to tell stories and hear other people’s experiences and how they impact society." Ron Balicki’s legacy means something different to everyone that knew him or read his work. To Peyton, his legacy means that no matter what one does, that they do something that they love. The path Balicki paved is something that she is thankful for and something she will never forget as she continues her career in journalism. Brayden Conover is currently a sophomore at Rose State College. Upon graduation in December, he plans on attending The University of Oklahoma to pursue a bachelor's in communications and journalism. Brayden is an avid fan of the Oklahoma Sooners as well as the Cleveland Indians. He expects to graduate from The University of Oklahoma in Spring of 2020.